Cozy winter days are coming. 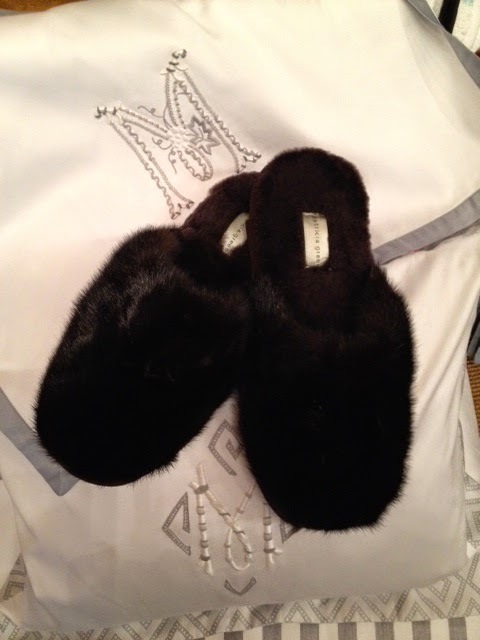 It's time to treat your pieds to a new pair of slippers. LES FLEUR in black silk. 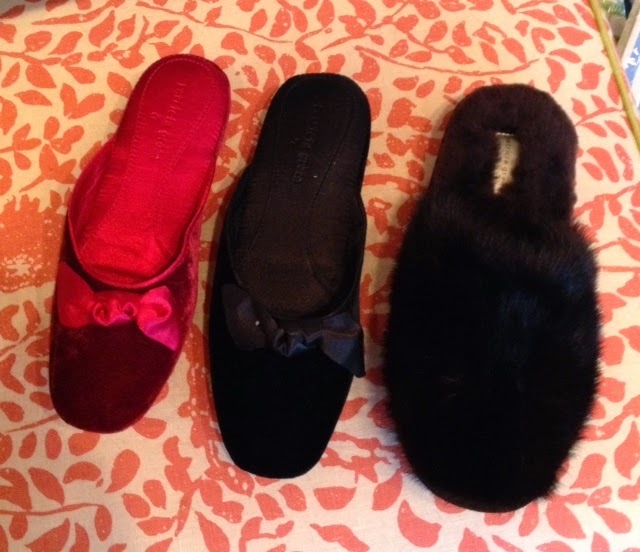 New styles we have added are GLAM in red and in black velvet, and WHISTLER in unbelievably soft and decadent mink (for the diva in you) ! 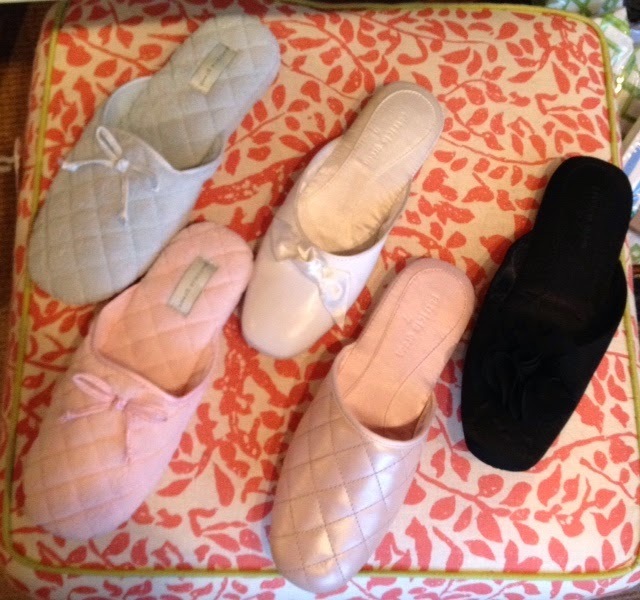 Scuff on over to the Boutique for your new pair. Well, I just sent in a possible preface to the author, Brian Coleman, of a book that is being written about our firm, Leta Austin Foster and Associates. 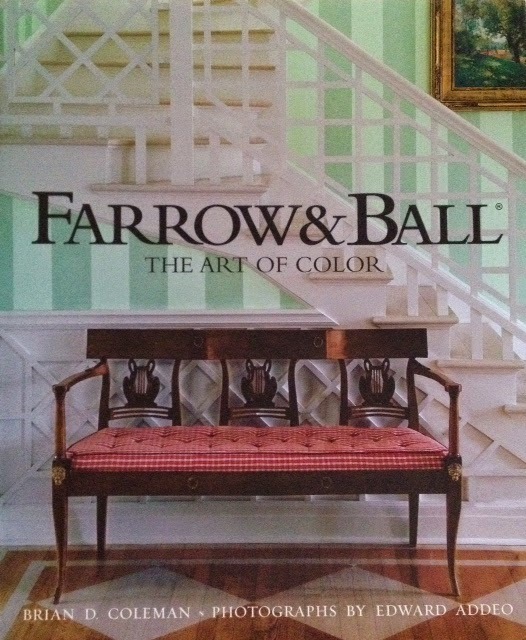 I don’t know if I have mentioned it before, but Gibbs Smith, the publisher of Brian’s best-selling book, Farrow and Ball, the Art of Color, and also his other books, including one of Fortuny, one of my favourite sources, is publishing this book, with beautiful photographs by Erik Kralsvik. I was very honoured to be asked to have this book about us. It is a wonderful thing for both me and my daughters, who work with me and of whom I am so proud. 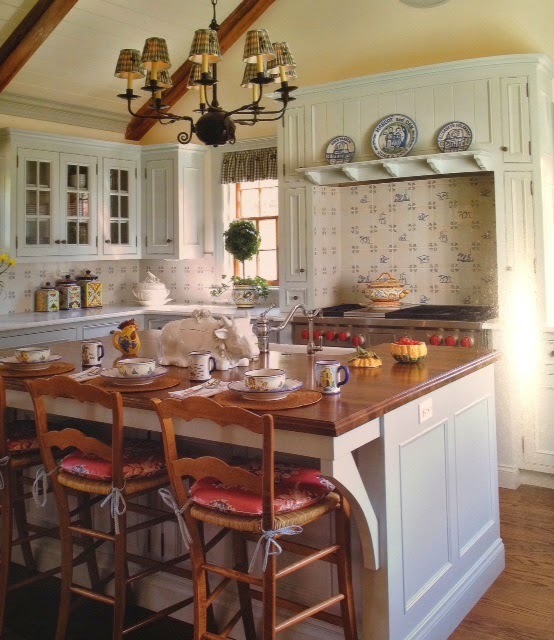 A fabulous and loyal client, Carole Jankowsky, has always wanted there to be a book on our work. I hope this next book makes her very happy. Since I am neither writing it or shooting the pictures or publishing it , I blithely assumed it would require nothing from me. How foolish I was. Every picture in it has, apparently, to tell a story, and they all need factual identification, such as what fabric here? Who painted this? Who designed this cornice? Made the curtains? And, of course, I want all this known, since all these sources are what allow me to do what I do. So, since I can’t show the new pictures until the book comes out—next fall, a year from now, just in time for your Christmas shopping, I think I’ll show you some of the wonderful pictures from the former book in which we were presented before, the Farrow and Ball book. 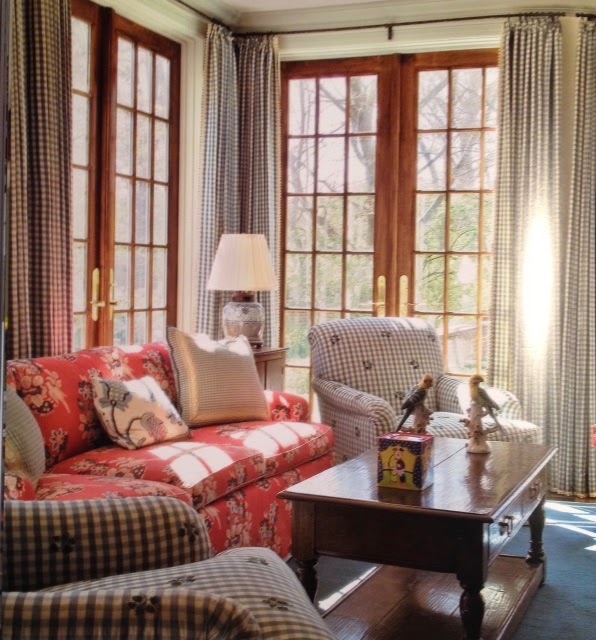 We loved doing all of those houses—just as we loved doing the houses—and clubs and apartment lobbies—in the new book. Hope you enjoyed that book—which you can still buy at Amazon.com—and will equally enjoy the next one. We are very excited about it. We love chocolate...dark chocolate, milk chocolate, chocolate with nuts, chocolate-covered salted caramels, chocolae ganache....well, you get the picture. Since chocolate is a whole food (I'm not sure whether this is fact or fiction, but I choose to believe it) we should feel virtuous in a daily indulgence. Dark chocolate in fact, is good for our heart ! Every year, in addition to stocking up on our old favorites like Maison Bouche, I try to introduce a new chocolate company in my shop. Most often it is one of the "top 10" chocolates of the year as touted by the New York Times. 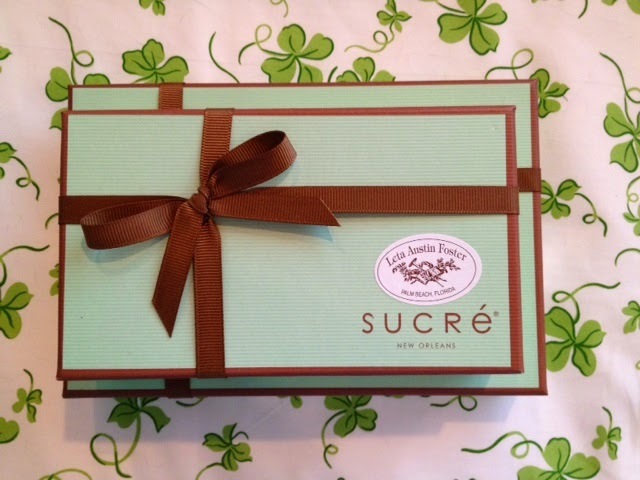 This year's introduction is the famed New Orleans chocolate company, Sucré. The confections, which melt in your mouth, have such names as Avery Caramel Chocolate Ganache, Meunière Brown Butter Chocolate Ganache, Wedding Cake Toasted Almond White Chocolate Ganache, Hazelnut Cream Semi-sweet Chocolate Ganache, Rhum Bittersweet Ganache with Spiced and Dark Rum and Sicillian Pistachio and White Chocolate Ganache. 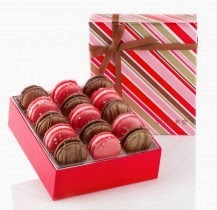 These fabulous yummies are nestled in chic boxes perfect for hostess presents. 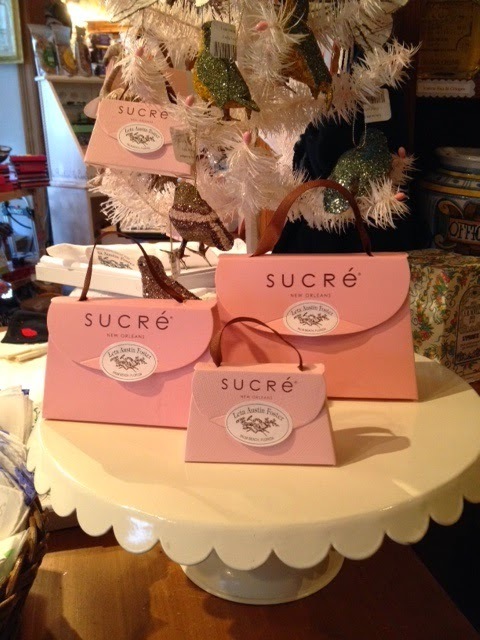 In addition to the boxed chocolates, we are also carrying 3 sizes of adorable pink paper purses that hold delicious dark chocolate squares. 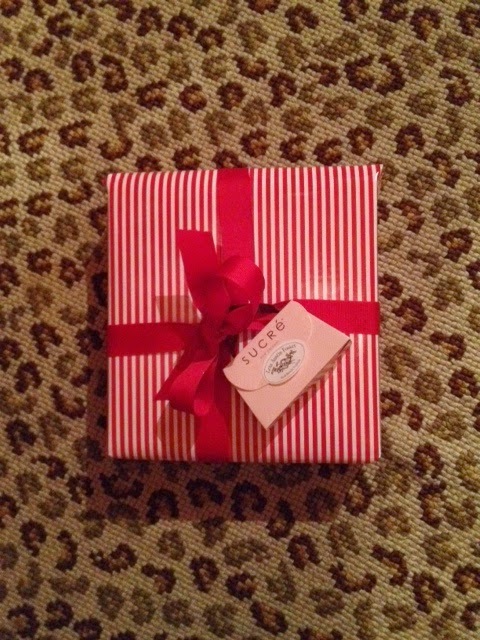 We have been selling a lot of them as an extra goodie to tie on the outside of a present. They are also popular as favors for luncheons and we can have them drop-shipped to your door no matter where you live ! 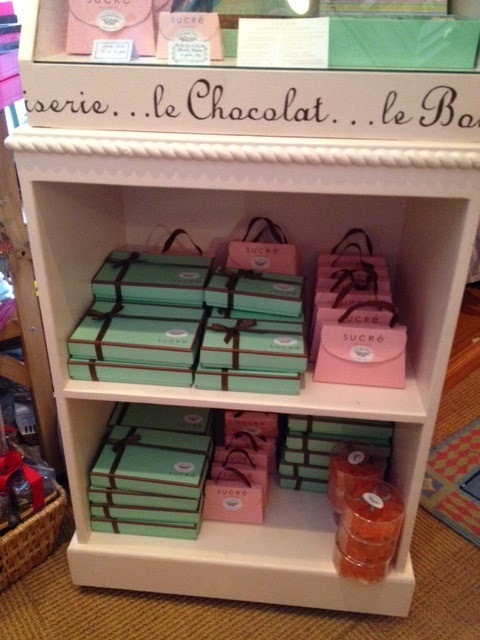 Sucré's Master Chocolatier also creates the most delectable macarons. The flavors in their sampler box are devine: Chocolate, Hazelnut, Almond, Pistachio, Bananas Foster, Strawberry, Pecan and Salted Caramel. Since macarons have a short shelf life, we only have a sample box in our candy counter and we order them for your special event. You can order mixed flavors or all one flavor. 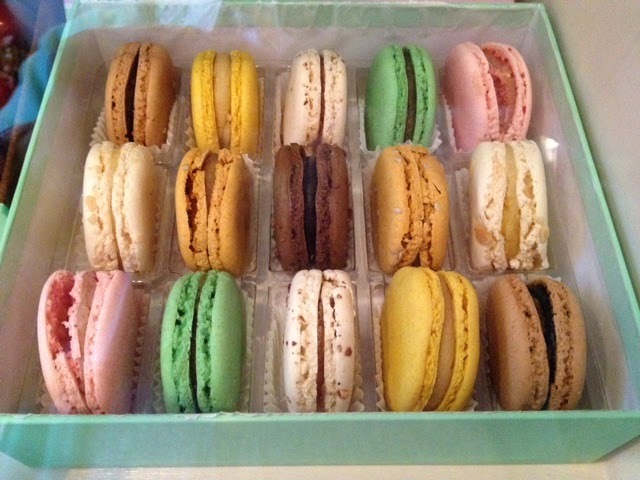 Specialty macarons are created for each holiday as well. Our shelves are stocked for the season (for now, at least). Living above the store does have its advantages !